While Milwaukee currently looks like some type of arctic hellscape, we’re trying to stay positive by remembering summer isn’t too far away. We are still doing summer this year, right? Assuming the snow melts in time, metro Milwaukee will play host dozens of festivals, block parties, and free weekly music celebrations between June and September that all help make enduring the six to eight other snowy months narrowly worthwhile. If you need to think spring—even though we’re technically about a month into spring—and summer, look no further than the lineup for a weekly outdoor music series. Late last week, Washington Park Wednesdays quietly announced its lineup. 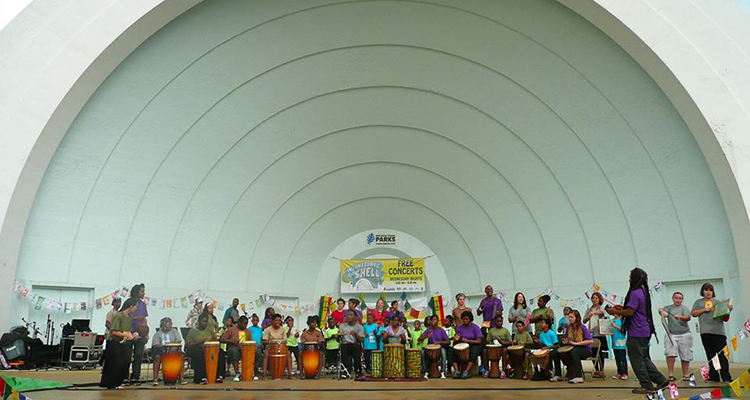 The free mid-week music series features a wide range of local acts performing under the gorgeous Washington Park bandshell. If the scenery alone isn’t worth the trip, this year’s downright awesome list of performers certainly is. Here’s who’s playing this summer.